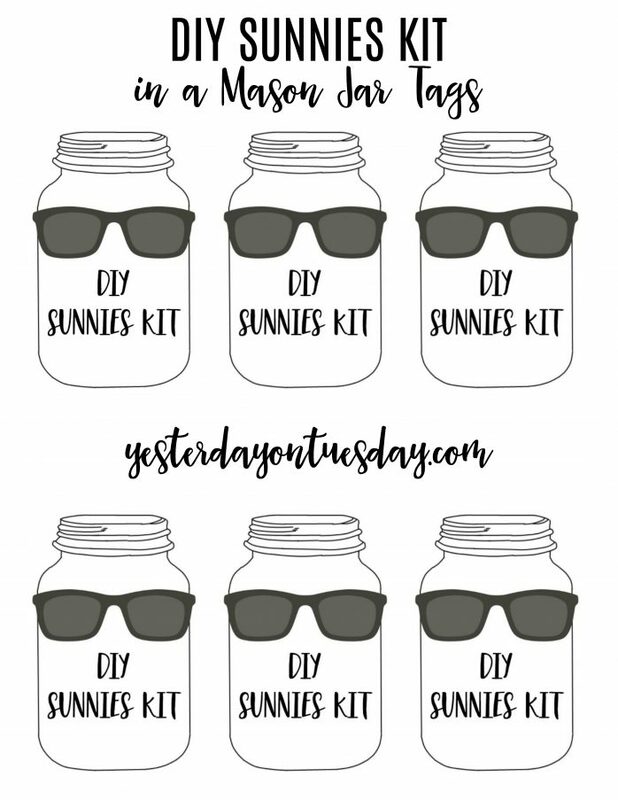 There’s only one thing more fun than a cute pair of sunglasses, and that’s sunglasses you can decorate yourself– like these DIY Sunnies Kit in a Mason Jar! 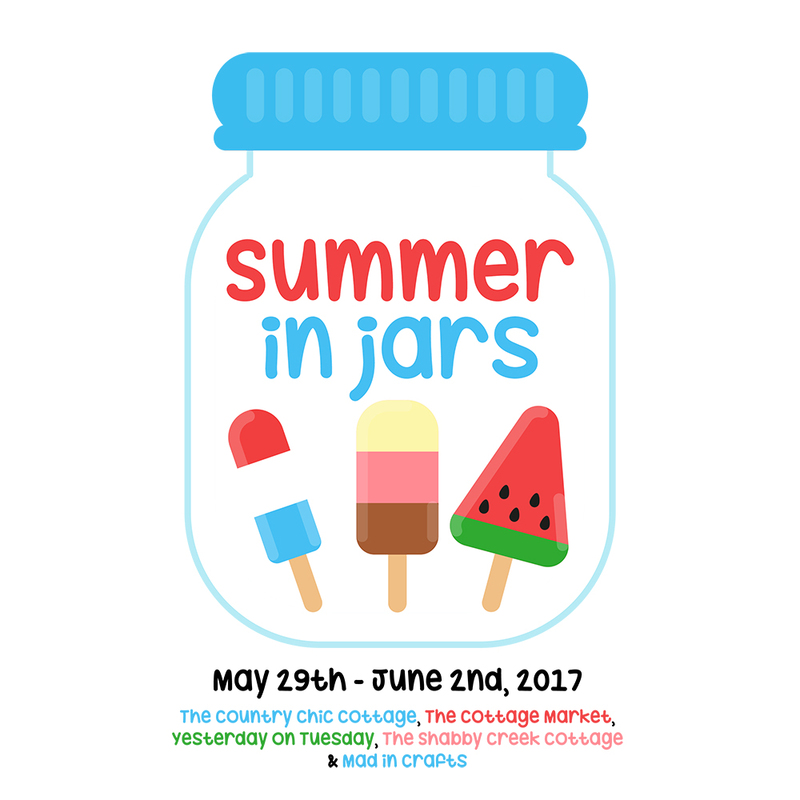 It’s my first project for “Summer in Jars” week. 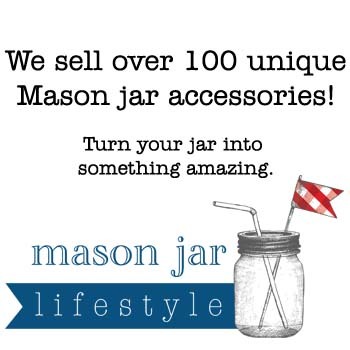 Each day, some of my blogger friends and I will be sharing a brand new mason jar themed project for summer. 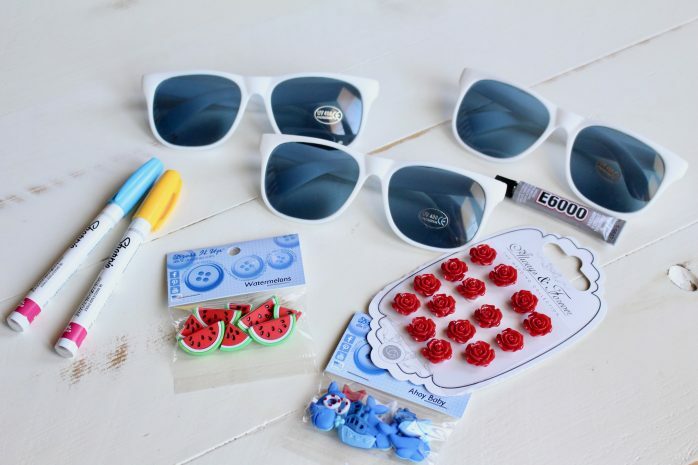 Some supplies you might want to grab are plain sunglasses, decorated buttons and stockers, oil based Sharpie markers, E-6000 glue and strong scissors. 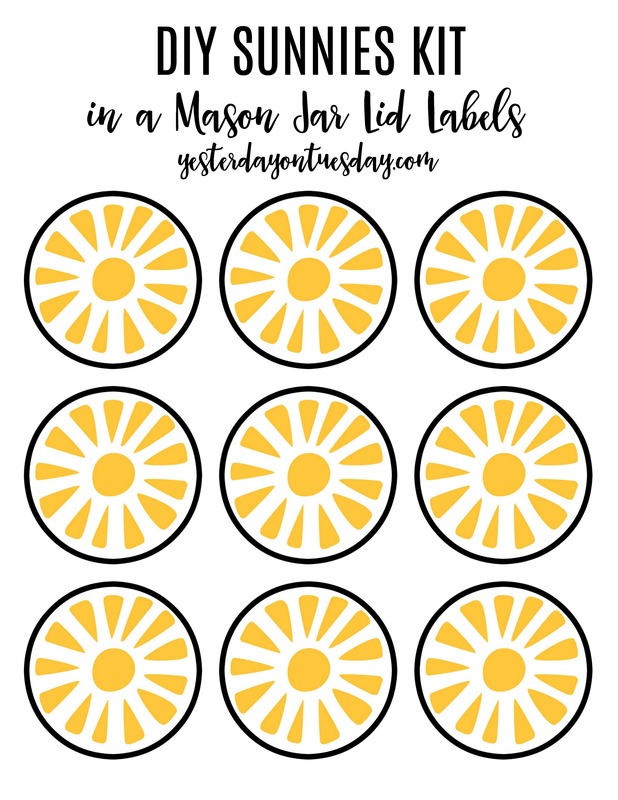 Also, I’ve made printable tags and jar lids to make putting this kit together a cinch. 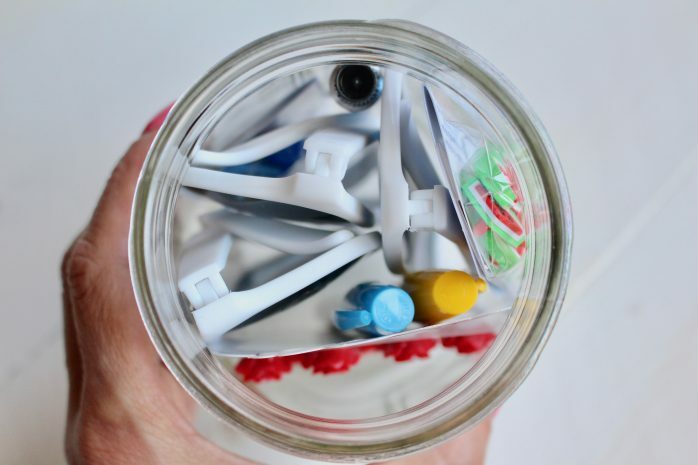 It’s really easy to make cute sunnies out of buttons… for reals. 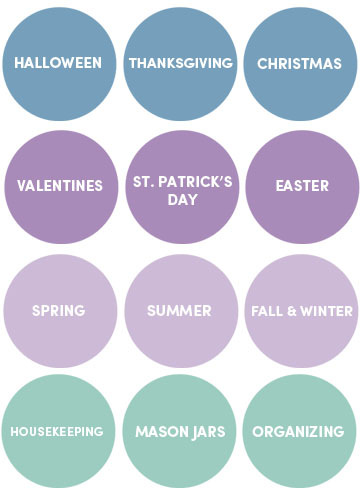 The thing with decorate buttons is that they don’t lay flat… they have a little plastic loop on the back. But you can fix that in a jiffy. Just cut that little loop off. 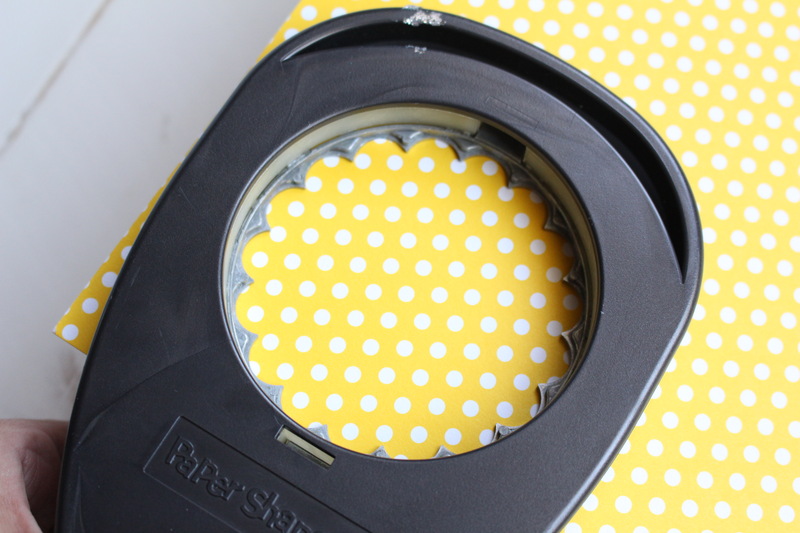 Take the button apart and use some strong scissors to snip off the back. This will allow the buttons to lay flat so you can glue them after putting them back together. 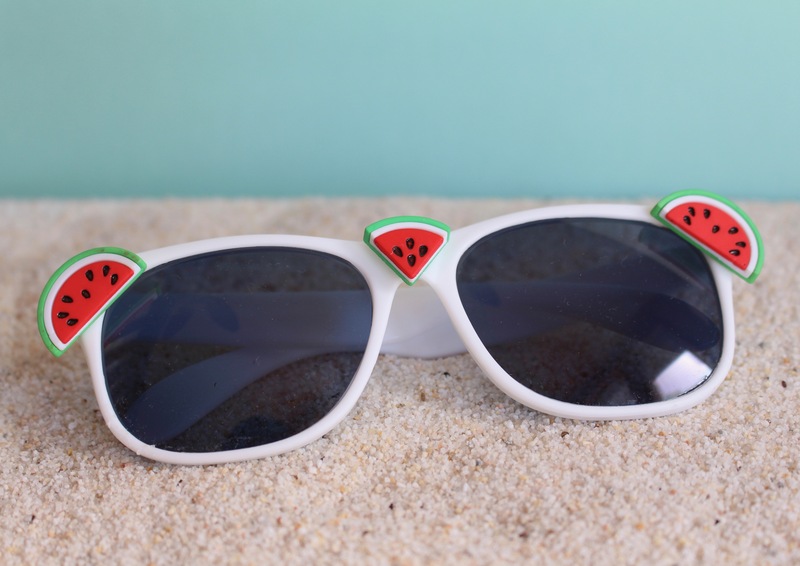 Then glue the watermelons on the glasses with the E-6000. Back to the kit. 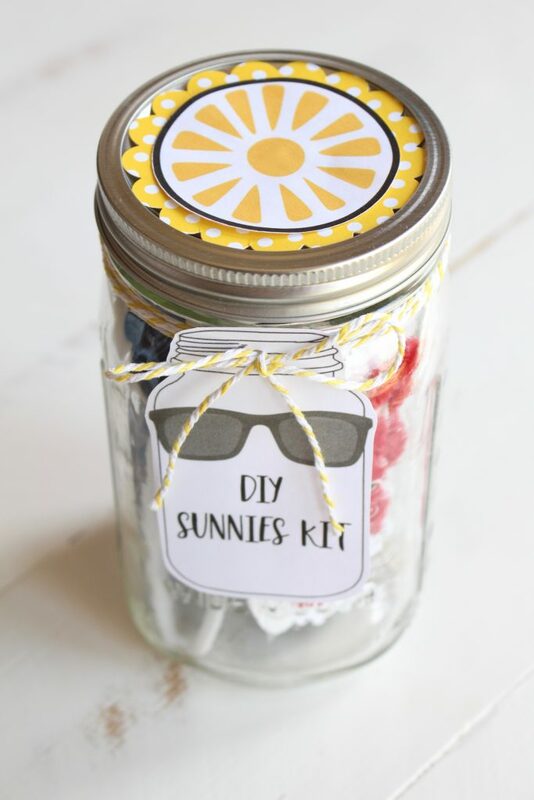 To pump up the kit’s cute factor, use a 3″ scallop circle punch make a sunny little background for your sunnies. 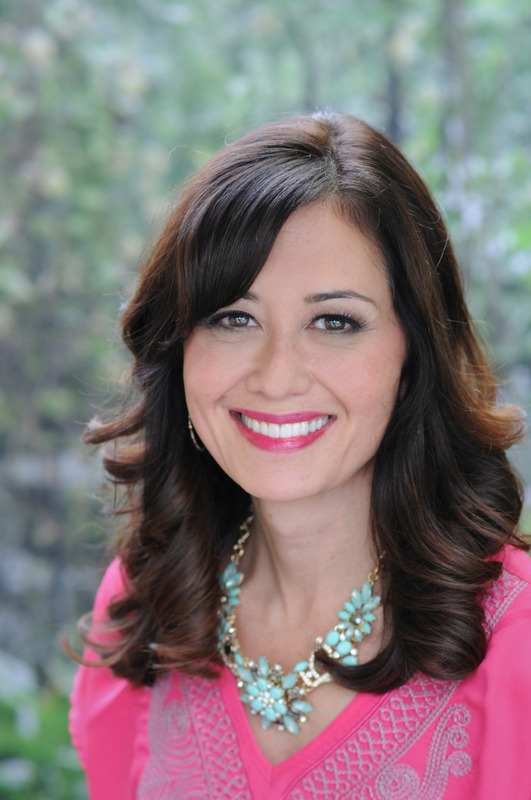 Then grab the printable below. 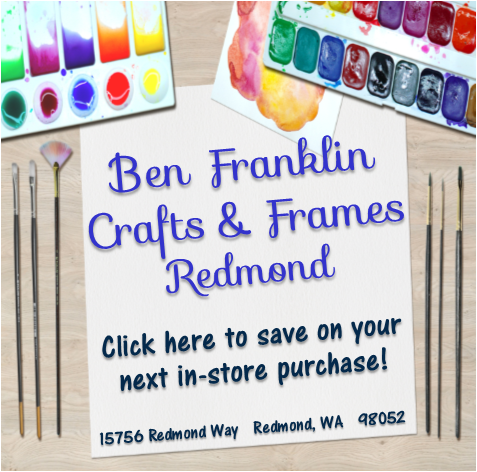 Click on the link, download, save and print! 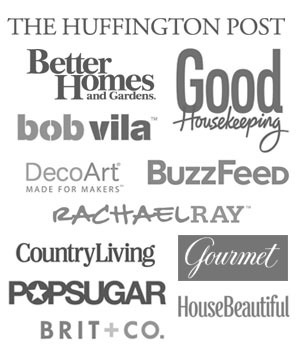 Check out all the other AWESOME projects! 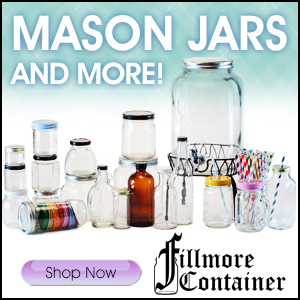 See you tomorrow for another FUN mason jar project! This is so adorable and Summer Fresh!!! Hugs! 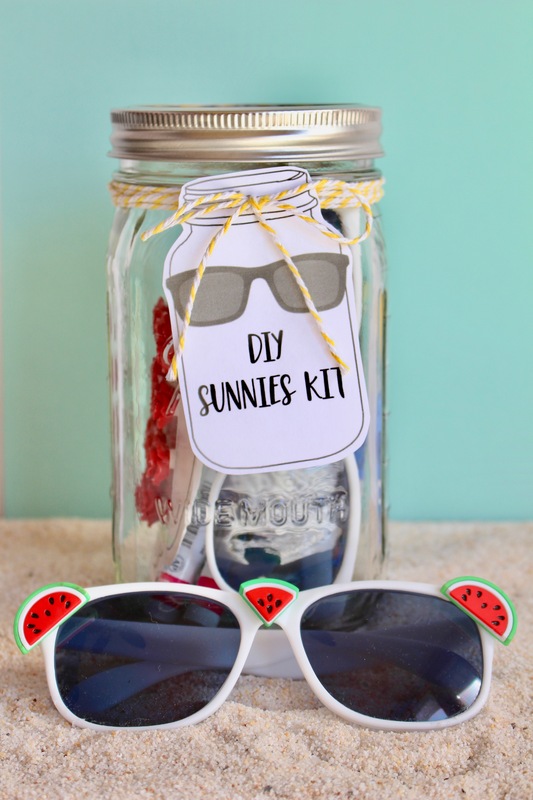 My kids would love to customize their own sunglasses!